It's time for my first installment in my Wedding Series! 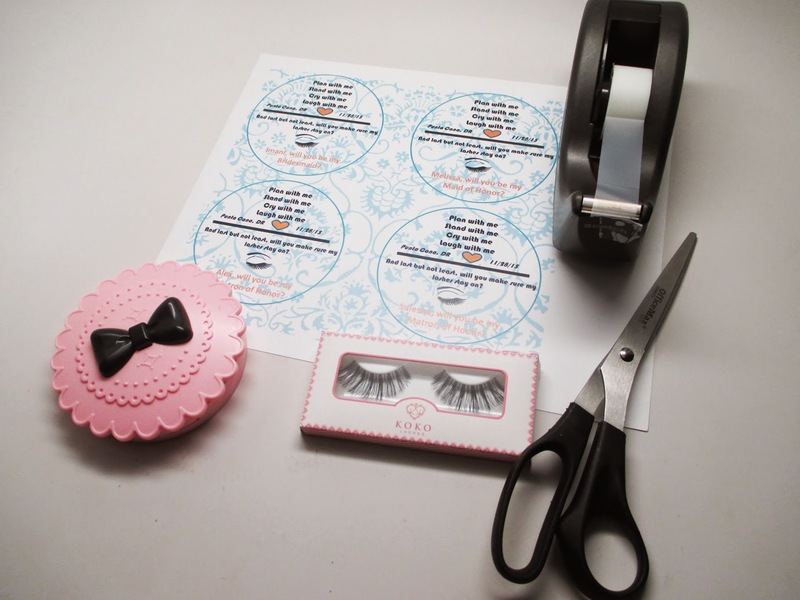 Today I show you a cute and creative way to ask your friends/family to be in your bridal party. If you love makeup this is a great idea for you. Check it out! I love the idea of Bridesmaids Proposals. My bestie gave us a cute ring and poem asking us to say I do to being her Maid of Honor a few years ago and I was so touched. I wanted to do something similar and incorporate my interests. 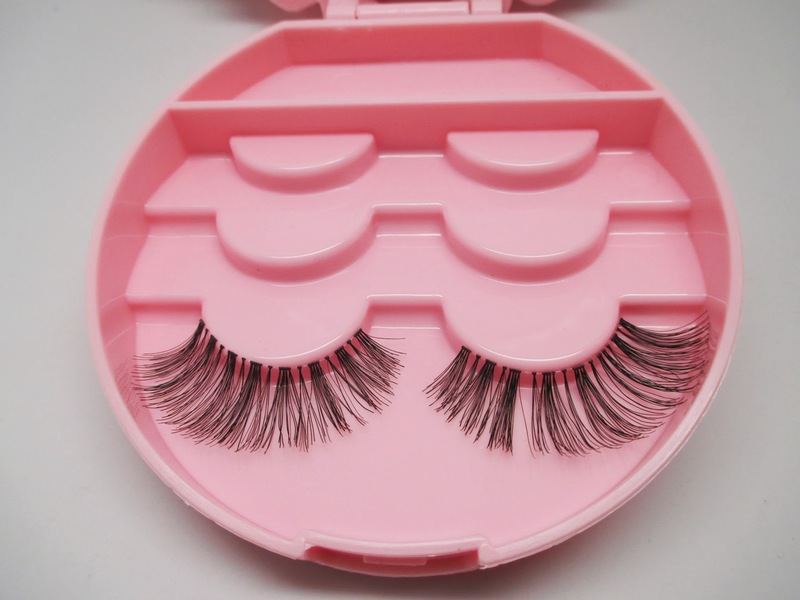 I remember seeing on Instagram an idea of doing a false eyelash cash with the premise of "Help Me Keep My Lashes On". I also went to Pinterest to help me with the wording and design. I printed the graphics myself using PowerPoint on cardstock paper. Cut out the circles (make sure you measure the diameter of the case and make the print the same size) and tape them to the inside lid of the case. 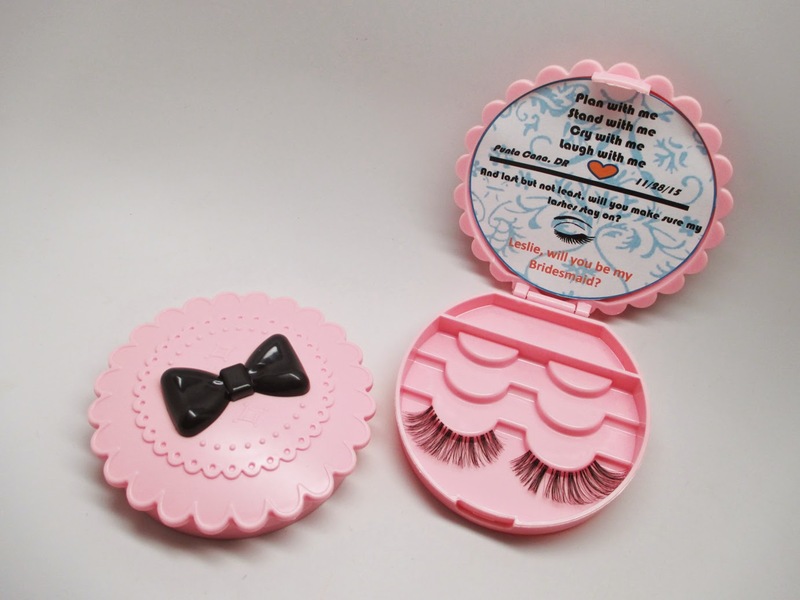 Apply a set of new falsies to a row in the case. Make sure to personalize the details - i.e. 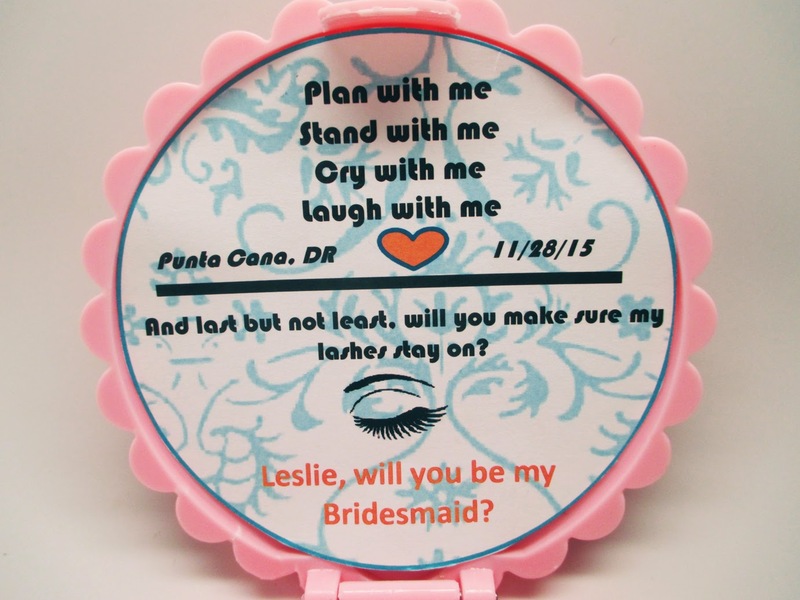 include your bridesmaids' name as well as the date and location of the wedding. And here's what it looks like! So cute right? I packaged them in these cheap paper bags - the blue is one of my wedding colors. Hope you guys enjoyed the first segment in my wedding series. I have many more planned. If you have any requests, please leave them in the comments below. You can also check me out on pinterest to see some of my wedding inspiration boards and I'll have a personal Ren's Wedding Board with all of these ideas. I absolutely love this idea. My boyfriend and I are getting married in November 2016, so I definitely want to try something like this with my gal pals :) We are doing a 30s/40s theme with some traditional Mexican tones since his family came from Mexico. We are getting married on the Day of the Dead (my idea, since his mother has passed and the veil is thin that day and I want her to be there in spirit), so now that I've seen what you've done with the lash cases, I want to have sugar skulls made with the note inside of the skull. Thank you very much for the inspiration! This is wonderful dear; I am also planning for my bridal shower and that is how I landed here on your blog. I am looking for some good event spaces for organizing my bridal shower. Can you suggest me something?